Office Condo project with approximately 24 individual office condos. Construction started in June of 2018. Deliver expected in November of this year. 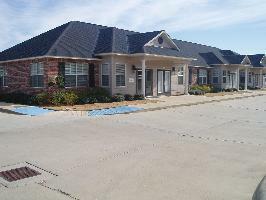 Each unit has large five offices, an ADA compliant restroom and reception/lobby. Includes drive-up parking. Each unit with double glass doors for easy access. Complex will be a professional office center located in a suburban location but with easy access to the interstate system. Contracts are currently being accepted for the 16 new units being constructed.